An Ancient Solar System...: ExoMars is away! 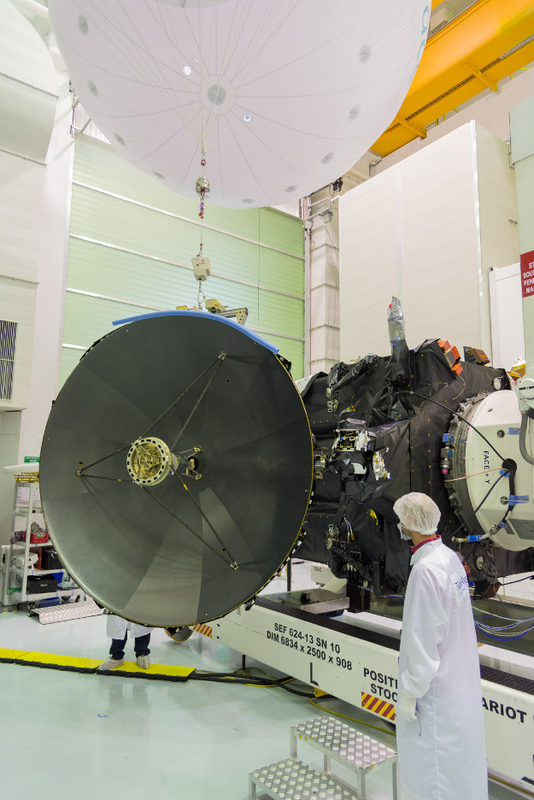 ExoMars has completed all it's engine burns, and is on course to mars! The launch was bang on time (well.. not literally BANG, else this would be a different kind of article) and it's completed all but one of the post launch manoeuvres needed to put itself on a course for Mars. Whats the deal with sending another spacecraft to Mars? It seems like we get quite a few launches to Mars, and that's because we do. But space agencies aren't just obsessed with red sad: Although Mars is a frigid desert, with air as thin as you'd find on a 20km high terrestrial mountain, there's a lot of evidence that in the deep past it was a lot more habitable. It had deep lakes, and perhaps even an ocean. That makes it a fascinating comparison with Earth, and raises the distinct possibility that some form of simple life might have taken hold there - a perhaps left behind chemical or fossil traces we could detect. Even today some tiny traces of liquid water survive in the shallow subsurface - and that trace of water means a slim chance of life surviving today in some friendlier-than-average Martian niche. Add that Mars has a surface we can reach with robots relatively easily, and that they can work on quite safely, and you get a very promising target for exploration. Above: The TGO undergoing antenna tests. Courtesy of ESA. TGO was launched today, and will be looking for tiny amounts of gasses that might be indicators of life or present day geological activity. A good example of these might be the 'burps' of methane gas detected by the Curiosity rover, one explanation for which could be Martian life of some kind. Whatever the answer, the TGO's instruments will make a comprehensive survey of the tracer gasses in the Martian atmosphere. TGO will also map subsurface hydrogen, which can be used to trace the presence of water ice - and near surface water ice could have important implications for Martian climate changes, and the presence of habitable environments. Above: An artists impression of the lander. Courtesy of ESA. 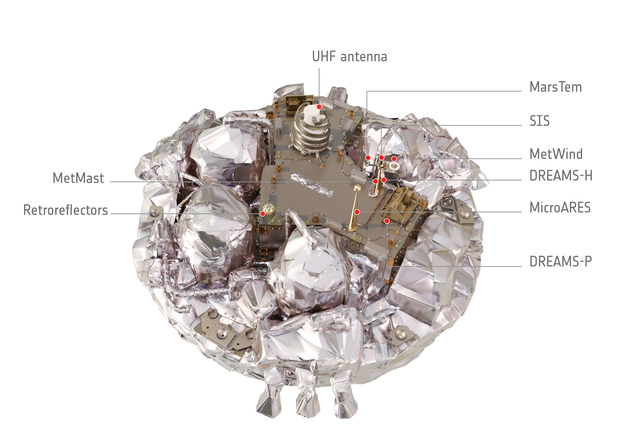 The TGO will send the Schiaparelli lander to the Martian surface. It's mainly a technology demonstrator - a test of the techniques and technologies needed for ESA to land on the surface of Mars, which they've never done before. But it also carries a small science package, called DREAMS, which will mainly study the Martian weather and atmosphere. The last droid of the group is a Mars rover, and will launch towards Mars in 2018. This will be the first robot to land on the Martian surface with the specific intention of looking for signs of life. It will drill into likely spots, bringing up samples from up to 2 meters underground, which it will then grind up and subject to a battery of chemical and physical analysis. Here's a quick video on it, courtesy of ESA.